Caught in the Act catches up with Jobsite Theater during rehearsals of their next exciting production, Edgar and Emily. Edgar as in Allan Poe. Emily as in Dickinson. Yes, the granddaddy of Southern Gothic literature winds up in the bedroom of the emdash enthusiastic belle of Amherst, Emily Dickinson. Confined to this space, made all the more close and macabre thanks to his own gently-used coffin that Poe must tote around as part of his pact for being rescued from death by an otherworldly specter, the two writers square off in a tete-a-tete that is truly a remarkable work of theater. Penned by Ohio-based playwright Joseph McDonough, Edgar and Emily is both an American Lit wonk’s fantasy and a nuanced, complex examination of two people famed for their obsession with death. Combining an expletive-free Mamet-esque repartee with elements of slapstick (sight gags galore), unexpected vulnerabilities and moments of old-school horror tactics worthy of Vincent Price, Edgar and Emily accomplishes much in a relatively short script. Expect to be taken on a fun house ride with this offering—there are creepy parts, funny parts, and, of course, a very subtle trip through the hall of mirrors where you see Dickinson and Poe as distorted reflections of the stories we’ve been told about them; you may see yourself reflected therein as well. Katrina “Kat” Stevenson plays Emily against Paul Potenza’s Edgar. David Jenkins directs. This trio began working together in Jobsite in 1999, lauded for their record-breaking 2001 production of Dracula. Stevenson, a diminutive, sharp-eyed redhead, taught English for three years and, as Potenza notes admiringly, comes by her poetic delivery naturally. To prepare for the role, she immersed herself in Dickinson’s poems, reading hundreds of them to absorb the language, to glean what she could to deliver what she feels like is an honest portrayal of a giant in American literature about whom very little is known. Potenza traveled to Poe’s home in the Fordham neighborhood of the Bronx via a trip to Yankee Stadium. He stood in the rooms where the bedeviled genius worked and lived, himself absorbing something of the writer’s real life to bring to the role. Jenkins sent him a list of Poe’s physicalities based on accounts of Poe at the time (no such list exists for Dickinson who was famously reclusive), and over the course of rehearsals, Potenza has morphed into the writer who changed our notion of ravens forever. Last week, Caught in the Act joined David, Kat and Paul at the top of rehearsal to chat about the play and bringing these literary figures to life. To hear them talk about the play, their process and the challenges and surprises along the way, listen to Rapping at the Chamber Door on our podcast, Act2. Edgar and Emily opens Oct. 12 in the Shimberg Playhouse with previews Oct. 10 and 11. Our new Broadway season opens in two weeks with the side-splitting comedy The Play That Goes Wrong. To celebrate, we found this collection of Broadway and musical theater blooper reels. 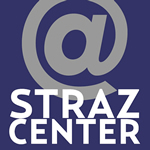 We were crying by the time we picked out this video mash-up of Broadway mishaps for your viewing pleasure for the Straz Center blog this week. As you know, our Bank of America Broadway at The Straz season launches Oct. 16 when The Play That Goes Wrong opens in Morsani Hall. As you may not know, The Play That Goes Wrong is about a show that goes completely off the rails … well, it never starts on the rails; the wheels fall off before the curtain rises. Trust us—the show is howlingly funny in that it’s nonstop physical humor that indulges in gag-after-gag of the greatest actor’s nightmare: forgotten lines, breaking props. Oh, and a lead who’s been accidentally knocked unconscious. A scene, a show, a line—these things can go sideways in live theater. Perhaps you’ve been in the audience when Dracula, grappling with townsfolk, accidentally rolled too far and tumbled over the proscenium into the orchestra pit (we saw this once). Or maybe you were there that fateful night in 2005 when a 97-pound Kristin Chenoweth didn’t know she was supposed to take only a half-Vicodin for her injured vertebrae, took a whole one, and arrived as Glinda in Wicked feeling like a reeeeeeeeeeeeally good witch. Too bad her tongue and face muscles weren’t cooperating with her brain although she notes that some fans regard that show as her best. Things happen. People fall down. Props break or don’t get put on stage at all. Wardrobes malfunction. People fall down. Actors “go up;” i.e. blank on their lines. People fall down. Sometimes actors miss cues and don’t arrive onstage—at all. What’s left to do when the horrifying prospect of something going wrong becomes reality? Well, laugh. And, honestly, why is people falling so funny? Why? Here’s a short video of productions from Broadway to middle school that captures the precisely hilarious moments when the plays go wrong. The Bob Fosse masterpiece we know and love today as Chicago the musical actually started with two real women and two real murdered men. In Chicago. In the Roaring 20s. A headline from the Chicago Tribune on June 6, 1924 (L) and Belva Gaertner sitting with her defense attorney, Thomas D. Nash (R). A headline from the Chicago Tribune on April 4, 1924 (L) and Beulah Annan with lawyer William Scott Stewart on her left and her husband, Al, on her right (R). The other, 23-year-old Beulah Annan, found herself in Belva’s company on Murderesses Row in April. Called “the prettiest woman ever accused of murder in Chicago,” Annan, in a lapse in judgement, confessed to the murder of her manstress, Harry Kalstedt, later backtracking, stating she and Harry “both reached for the gun” during a quarrel. We bet you’ve figured out which character Beulah becomes in Chicago by now, but if you haven’t, Beulah also came with a faithful and extremely naïve husband who stood by her during the trial despite having found a dead man in his bedroom with his wife. At Yale, Watkins turned the stories into a play. Fosse tried to convince Watkins to give him the rights to the script, but she wouldn’t. Watkins was pretty amazing, which you can read about in this tribute by the Tribune. When she died, though, her estate granted Fosse and Verdon the rights. Chicago the musical, starring Verdon and Chita Rivera as the most famous Merry Murderesses, was born. Belva and Beulah faded to the corners of Windy City history while Velma and Roxie hot honey ragged their way into musical history. Catch Chicago when it razzle-dazzles The Straz next week. Gwen Verdon as Roxie Hart (L) and Chita Rivera as Velma Kelly (R) in the 1975 Broadway production of Chicago, directed by Bob Fosse. Jobsite Theater opens its 2018-2019 season with a return of Spencer Meyers in the lead role of Hedwig and the Angry Inch. Spencer, who by day plays our unflappable group sales associate at The Straz, debuted as Hedwig in Jobsite’s 2013 production. Says Jobsite Artistic Director David Jenkins, “I always knew the prodigious talent inside of him, but it was amazing to watch Spencer blossom through the process to fully bloom during the run. His Hedwig is delicate, self-effacing, vulnerable, a true underdog. I think Spencer is even more prepared, more in his prime, than perhaps he was before. So, I’m very excited to get back in the rehearsal room with him to see how she’s [Hedwig’s] grown in this time.” Here’s what Spencer has to say about being Hedwig and returning to the show. CAUGHT IN THE ACT: Many people know you from your work with Jobsite and saw you in the first run as Hedwig in 2013. Are you nervous about coming back to the role? In what ways are you approaching your performance differently this time around? Preparation? Wait, I’m supposed to prepare? Memorizing those lines ahead of time, is the smartest thing I can do to prepare. Sections start coming back more than others. Although, I’m five years older, and it’s interesting how some moments have more meaning to me than others because of new life events. The 2013 band is pictured in the top photo (L to R: Woody Bond, Amy Gray, Spencer Meyers, Jonathan Cho, and Jana Jones). The bottom photo shows the 2018 band (L to R: Nader Issa, Jeremy Douglas, Woody Bond, Spencer Meyers, Mark Warren and Amy Gray). CITA: We heard through the grapevine that your acting has been strongly influenced by the style of Miss Piggy. True? If so, is there anything you’re bringing to the role of Hedwig that has a little Piggy in it? SM: Okay, this grapevine has been on my Instagram (I have a side by side comparison photo of me and Piggy–we could be related). My favorite Muppet has always been Miss Piggy. She’s loud, she’s funny and always manages to steal the scene. She’s the number one reason I love The Great Muppet Caper. Haven’t seen it yet? Watch it and see Hedwig, who shares the same diva-like qualities as Miss Piggy and some physical traits like the big smile and head tilt–as well as some aggression towards those who try to steal her light. It’s Hedwig’s show, she’s the star–never forget that. CITA: It’s a tough, demanding role. Hedwig is always onstage, talking or singing, and swinging through a million emotions. How do you keep your energy up throughout an entire run? SM: It’s exhausting–I’m barely a human being for the first 20 minutes after the show closes. My preparation before each show consists of a series of events the second I arrive to the dressing room. First, I shave my face, then paint my nails, wipe my face with alcohol wipes and start putting on the many layers of garments (pantyhose, fishnet stockings, Spanx slip, fishnet top). First step to get ready for the show: shave and glue down the eyebrows. Then it’s time to warm up with the band (“Origin of Love”), then back to the dressing room for makeup. The makeup will usually take until close to showtime (that’s right, I’m still putting on my face as you enter the theater and get comfortable). At about 10 minutes to places, I put on both layers of my costume, the cape and then finally, the wig. It’s a 90-minute show of Hedwig singing and telling a beautifully tragic and cheeky story of her life. As you said, a million emotions. The wonderful thing about this character as an actor is the mask you wear with the makeup. I can’t see any resemblance of myself once the makeup is completed. I’m able to let her take over, and it’s an adrenaline rush all the way until the end. The moment after I take my bow, I dash to the bathroom to take everything off and throw on comfortable clothing. So, if you are waiting for me to come out, I will–just give me a quick minute. Lindsay MacConnell (L) designed the makeup for the 2013 production of Hedwig and is back again for this production. CITA: Favorite part of playing this character? SM: Everything except the Spanx and glitter. Seriously, I love everything about her. Her story is tragic, funny and relatable. We’ve all experienced the moments of her life. We’ve had the first loves that didn’t work, distance from family members at times, heartache and that moment that we search for our place in the world. The music is what made me fall in love with the show. Honestly, I think the songs connect us all in the human experience. We cry and laugh for and with her, she’s human–like us. A behind-the-scenes look at Spencer getting glitter-ized for the promotional photo shoot. CITA: Hedwig makes plenty of inappropriate remarks to audience members as a part of the show—most of which is ad libbed during the performance. How do you know who to target and how far to push the envelope? SM: Don’t bring the kids unless you want to explain a lot of things on the drive back. I’ll admit that the inappropriate lines are some of my favorite things in this show. As I mentioned before, she likes to take over and I gladly let her. She’s like the alter ego of mine that I never knew existed. So completely different than me in my every day. Those ad libs shock me sometimes. If you get offended by something I say in the show; it wasn’t me, it was her. The first run, my biggest fear was having to ad lib and have no fourth wall because every audience will react differently. So, you want to know my secrets on how I choose my audience participants, huh? Well, it took the first preview to know who to target. It’s a tricky game. A lot of the ad libs happen by the third song of the show, “Sugar Daddy” (prepare yourselves, I will leave the stage and come to you if chosen). By this time in the show, I know who’s into it and who isn’t. I look for the laughers. There are a lot of inappropriate jokes and funny bits early on in the script, so I take note of those who are living for it. Eye contact is important as well. If they are having a good time and not looking away when I make eye contact, then they are potentially going to get more attention throughout the show. I don’t want to ruin anyone’s experience by making them feel uncomfortable. Some people do not like having audience interaction while watching a show. I can understand that. If you are one of those people, sit at least three rows back in the main seating bank (I’m not going to crawl over people, CenterBills and drinks just to get to you). A Director of Production Services TELLS ALL! The performing arts are big business. In this industry, we have a lot of super important jobs for people who love the theater but who may have no interest in performing professionally. This week, we sat down with Gerard Siegler, Straz Center director of production services, who plays a huge part in making sure the shows work and the forty-billionteen details of a live performance have been handled. Gerard Siegler, director of production services for The Straz. CAUGHT IN THE ACT: What are production services? What do you do? Take us through a typical day in the life. GERARD SIEGLER: Sure … there’s no typical day. The gist of my job and the job of any production manager is to deal with all the backstage needs. This would be the technical elements like making sure that we have equipment that shows need. Sometimes it means getting hospitality, booking hotel rooms, booking transportation, either to or from the airport and even sometimes air flights and things like that. It’s a wide range of duties, sometimes it’s as simple as a speaker needing a microphone or AV equipment all the way to Broadway shows—making sure that their set is going to fit within our space and making sure we have the equipment they need. CITA: How does this work? Let’s say we book The Phantom of the Opera, and you get the memo that Phantom is coming. Then what happens on your end? GS: Sure. Every touring show has what we call a “rider.” A rider is basically a bible of what the show comes with, what labor they need, meaning stagehand labor—that’s something else we’re in charge of—what equipment they bring, and then what equipment they need. It also specifies how long it takes to load in a show, how long the show is. The riders are sometimes so in depth it goes into what kind of candle an actor needs for their dressing room. When Phantom is put into the books, one of the production managers is assigned to the show. They go through the rider, make sure that we can accommodate everything that the show needs. What we can’t accommodate, we either supplement or we can redirect them to what we have and then come up with alternatives—if it’s a smaller rental. If they’re adamant about, “I need this amp for my guitar.” Then we will rent stuff if we don’t have it. That production manager will work through the show. Normally the advance happens anywhere between a month to three months out, depending on how large the show is. For Broadway shows, it normally takes about anywhere between 10 and 16 hours to load in a show. Most Broadway shows load in Monday, and we have our first performance on Tuesday. They’ll load in the entire show, they’ll do soundcheck, and then they load out … The production manager is usually the first person in and the last person to go. My typical day when I’m doing a show starts around 7:00 a.m. and gets done at 1:00 a.m. the next day. CITA: You do that for four days in a row? GS: Yeah, four days in a row. The Broadway shows are one of the easier shows to do. Morsani Hall is considered a roadhouse. A roadhouse means that we have most of the things that happen within Morsani, so it’s self-contained. For example, Phantom comes with everything they’re going to need. Broadway shows, for the most part, come with everything they need besides a few little odds and ends. They tend to be the easy ones. It’s the rentals, and the one-offs, and the concerts that sometimes end up being the most difficult for us. CITA: Why is that? It seems like you’ve got a concert, you just get a mic, you plug in a sound system, you’re good to go. GS [laughs]: It’s typically not like that. For instance, some of the smaller concerts just bring the artist and the artist’s guitar, and we supply everything else. What you see on stage is maybe 20% of the actual equipment it takes to run the concert. All you really see are the back line, the piano, the drums, a monitor … but to get all of that to work, it takes a while to load in. Your dance shows even take longer sometimes, so your modern dance shows, like MOMIX, are very light[ing] heavy. We load in their lighting before they even show up. The day before they come in, we’ll have crew on that will set their lighting which is something that’s dictated by the show. MOMIX sends us a rider with a lighting plot, and we set the lighting plot even before they arrive. Sometimes what is a two-hour show takes three days to put together. This is what the stage in Morsani Hall looked like when Wicked was loading in, 2017. CITA: Right. A lot of what creates the magic and creates the illusion of theater is what production and costuming does. It’s the stuff that the audience doesn’t have to think about consciously. They can absorb lighting and music subconsciously and feel the feelings that they create. The catch-22 for you all is that nobody knows if you’re doing a good job unless you do a bad job. GS: Exactly. We don’t get compliments, we get criticism. The only time you actually know we’re there is when something goes wrong. CITA: Alright readers, so that means our production staff needs more compliments when you see a good show. When you see Gerard around, tell him that he did a good job. So Gerard, how did you end up here? First of all, tell us how long you’ve been at The Straz and then how does somebody get involved in theater production? GS: I’ve been at the Straz … April was nine years. I started with the Patel Conservatory. I was one of their production people then moved over as a production manager to The Straz about five years ago. Last June, I became the director of production services. I started out as an actor. I did theater in high school and performed on Ferguson Stage as a thespian. When I moved to college, I started a theater track for acting and needed a part time job, so I started doing work in the college tech shop. My technical director at the time took me under his wing and said, “You can make a whole career out of just doing this.” My sophomore year, I changed directions and did more technical theater. Gerard Siegler hangs lights for Blake H.S.’s production of FAME. CITA: Were you at USF? GS: No, I went to Flagler College in St. Augustine. CITA: Did you find that you enjoyed the technical side more than you did the acting side? GS: I did. I could see the product progression more, and that satisfied me more. But it’s more pressure because, like I said, you do one wrong thing and it makes or breaks a show. For me, though, building the set, running sound, running lights, putting all that together, that really interested me. CITA: And then you got a degree in theatrical production? CITA: Then what happened to you? GS: After Flagler, I went to the Shawnee Playhouse in the Poconos for summer stock. I was the assistant technical director. One of my friends who graduated with me, we both decided that since we were already in Pennsylvania, we should move to New York City for a year. That’s what I did. I moved to New York for a year, did some odd jobs, picked up some theater stuff here and there, and then moved back to the Tampa Bay area to get married. My wife, who is in the theater department at the Patel, said “Why don’t you just come out and be a summer intern for Patel?” The day before I came in for my interview for the summer internship, the technical production person for Patel had put in his one month notice that he was leaving. GS: I was hired for that position, and that was my start. CITA: And the rest is history. GS: I get nervous the morning or the night before, thinking “What did I miss? What is going to go wrong?” Really, all it takes is for one little thing to go wrong and it can throw the whole day, especially when you’re dealing with different personalities. I’m dealing with local stagehands anywhere from … Three is normally our smallest crew, to some Broadway shows where you’re looking at 75-80 labor hands. Not to mention the actual tour, they’ve come with their own staff. So there’s always that sense of “What did I miss? What happened? What’s going to happen?” [laughs] It doesn’t matter how much pre-planning you do. When you get here and you get on the grounds, half the time the plan gets thrown out the window within the first 30 minutes. CITA: Show business can get a little frustrating sometimes. GS: As for the show itself, the only time I get nervous is when we’re falling behind. With The Straz being as well-known as we are, we sometimes get the first stop on tours. Once, a Broadway show had issues with their automation track. The floor that you see for Broadway shows, sometimes it’s painted elaborately, and that’s not actually our stage. It’s another deck that gets put on the stage. Sometimes they have what’s called an “automation track,” which is grooves within the stage that moves the furniture on and off. For this show, we’re the first stop. Five minutes before I was supposed to open up the house and have the audience come in, their automation track broke. This is opening night of the first show of this new Broadway tour. I have to hold opening the house until we can get the track fixed because if we don’t get it fixed then the effect doesn’t work. That was nerve-wracking. CITA: Did you get the automation track fixed in time for the show? GS: Yeah. We were 20 minutes late opening up the house. We have a great usher staff and front of house staff that helped with the audience. We started only five minutes later than we would normally start. CITA: We love these behind-the-scenes stories because it’s the show that people don’t see. It’s the high drama, the high tension of getting it to go flawlessly, or start on time. When you have all of these moving pieces in live theater, you don’t get a do over. Is that kind of excitement what drives you as part of technical production? GS: I get my most joy from show to show. If you’re an actor touring, doing the same role for a year and a half, you’re doing the same role for a year and a half. Whereas, within a year and a half as a production manager, or the director of production services, I’m in charge of a couple hundred shows a year. I have a team, so it’s myself and there are three other production managers. Between the four of us, we are in charge of all the theaters except TECO theater. Gerard Siegler works shows from all genres which includes being backstage with one of the dinosaurs from Erth’s Dinosaur Petting Zoo. CITA: Which is almost unbelievable, that a staff that small can do that many shows. Because we don’t book shows in just the theaters. We’ve got Live and Local, we’ve got Straz Live in the Park, we’ve got Fourth Friday. We have so many other events that are happening outside of the theaters, too, that just the four of you make happen. GS: Yeah. It’s not just the shows themselves. For instance, opera has two performances that they do, but the average opera takes anywhere between two to three weeks on the physical stage to go through. You’ve got a week of loading in the set and lighting and a week of tech rehearsals. Then you have two performances, and then you load it all out in one day and you’re on to the next one. That to me is what gets me going. It always changes. Hamilton is going to be here for four weeks this season. At each show there will be some new challenge that pops up, whether it’s, “My costume ripped” or “We ruined a costume.” Or, “The washing machine went out.” You’re always on your toes. Close-up view of a sound board. CITA: For people who want to be in the theater but not on stage, how do they get to where you are? GS: I started in high school. I was one of three boys in my high school theater department, so I did a lot of stuff onstage, but I also did a lot of tech prep work. I helped with the sets, helped with the lights, even though I didn’t think about it as a career until college. If you really, really, really want to get a job nowadays behind the scenes, you either become an audio engineer or something with video. Those are the two things that are not going anywhere right now. We’re always looking for someone in audio, visual and lights. You have to be very good at what you do because as much as the actors are onstage doing their best, sometimes we’re the ones that break the performance because mics are popping. CITA: Or you make the performance flawless. CITA: We have classes in technical theater here, right? Workshops for students? GS: Yes. Patel has a stage management class and we’re going to try to work with them this year to make a technical theater class that deals with a little bit of everything. I give tours all the time to college and high school groups, especially that are technical theater oriented to come. They look at our stage; they can go into the booths. Inspiring the next generation of production managers, Gerard and his son Maddon on Carol Morsani Hall stage. GS: They go up to the fly rail—10 stories up. CJ Marshall, who’s our director of operations, has really tried to spearhead getting younger people interested in technical theater because when you go to a high school program, you get 30 kids who want to be actors and maybe two or three who want to work back behind the scenes. We’re trying to invest in the future. CITA: That’s fantastic. Do you love your job? GS: I do love it. Like I said, it’s a new thing every day. It always keeps me on my toes. This summer we’re updating and renovating a lot of our old equipment. We’re excited in the production department. We’re taking on a lot, especially with the next season almost here. It’s always fun. A family affair – Audrey Siegler, Patel Conservatory theater department managing director and Gerard’s wife, with their daughter Ellie, Gerard and son Maddon. Gerard is testing the new assisted listening system while the family enjoys Paw Patrol.